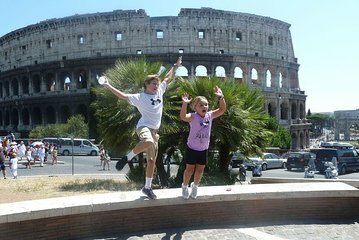 Designed especially for children ages 5–12, this private tour of the Roman Colosseum is both entertaining and educational. Learn about the gladiator battles fought here and the impressive engineering features of the structure, which is one of the New 7 Owners of the World. You will also visit the temple where Julius Caesar was cremated, the Arch of Titus, House of the Vestal Virgins, Senate House, Basilica of Maxentius, Palantine Hill, and more.